Like all organisms, the fish and aquatic plants in your aquarium rely on highly specific environments in order to survive. These essential conditions vary from species to species and depend on the environment in which they evolved. pH measures the acidity or alkalinity of water. A pH value of 7 is neutral, with lower numbers increasing in acidity and higher number increasing in alkalinity. 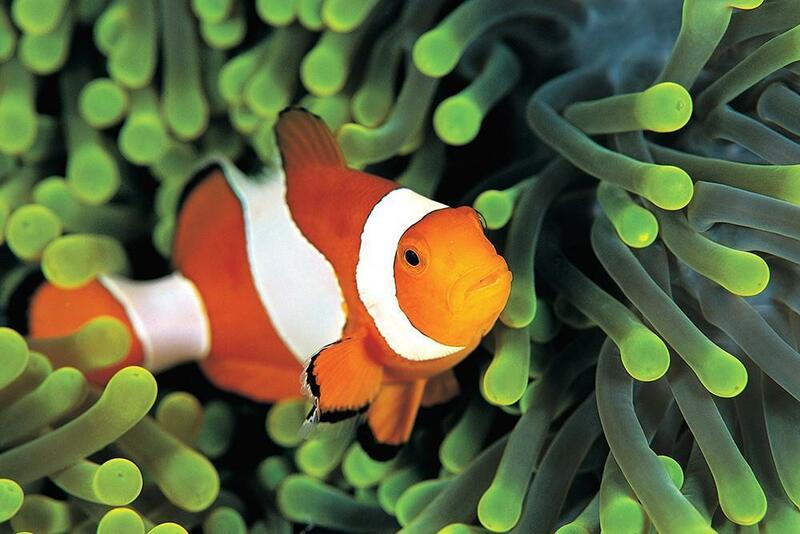 Many fish can thrive in a range of pH conditions, typically spanning 6.5 to 7.5 pH. However, some fish require specific pH conditions outside this range. It is a good idea to learn the ideal pH range for the fish you plan to raise in your aquarium. It is also important to ensure that all fish in the same tank have similar acceptable pH ranges. The tap water that fills most aquariums generally has a pH between 6.5 and 7.5. However, pH can drift over time, so testing aquarium water regularly is important. Sometimes water may need to be treated to support healthy aquatic populations. Unfortunately, there are no visible indications that any change has taken place, so frequent monitoring is the only way to ensure that water remains healthy and inhabitable. The most accurate method for testing aquarium water pH is to use an electronic pH meter. You may be able to purchase a pH meter from a local pet supply store. Or, if you have an iPhone, iPad, or Android, you can use our smart sensors to turn your smart device into an aquarium pH meter. You can lower aquarium water pH using commercially available peat or pH decreasers. Similarly, you can raise aquarium water pH using an alkaline buffer. Water hardness – or mineral content – may affect your ability to adjust aquarium water pH, as minerals can act as a buffer. Large aquariums or commercial aquariums may benefit from using an aquarium monitoring system with an aquarium pH controller. The aquarium pH controller can be used to regulate addition of chemicals to aquarium water, which allows pH to be automatically controlled. Dissolved oxygen is the form of oxygen available to fish in an aquarium. Oxygen is as fundamental to fish survival as it is for human beings. Undetected low oxygen levels could impair fish development and reproduction and even cause death. ORP or oxidation-reduction potential is another testable parameter that could be useful in understanding the level of dissolved oxygen. Water that is contaminated with waste may have lower oxygen levels and a lower ORP. Measuring ORP may help to determine BOD or biological oxygen demand, which measures the amount of oxygen required to break down the organic waste matter generated. Oxygen is depleted by the fish that require it for respiration, but it is also depleted by plant life at night and by bacteria that help in the decay of organic matter. While oxygen can be added to the tank though photosynthesis and surface agitation, frequent monitoring is crucial to determine dissolved oxygen levels and ORP, so that these adjustments can be made as needed. Like this post? Subscribe to our blog for a monthly recap of new posts.